It’s post-Easter and I had the pleasure to write an article for fabulous website MyBaba who give us the latest daily scoop on family, food and lifestyle. The article couldn’t be more relevant: 5 ways to kick the sugar habit post-Easter. Read on for my top 5 tips! There is nothing better than seeing our children happy! I loved seeing my girls find their Easter nests and enjoy their chocolate eggs. But by day three, another family visit and numerous chocolate bunnies later, I started feeling slightly uneasy at the amounts of sugary sweets the children were consuming. At one point I even thought of quietly hiding away a few eggs here and there, but my three girls are too big now and they know exactly what they were given! An embarrassing mother moment later, and the father of the girls was blamed. Oops. That didn’t work! It’s so hard. 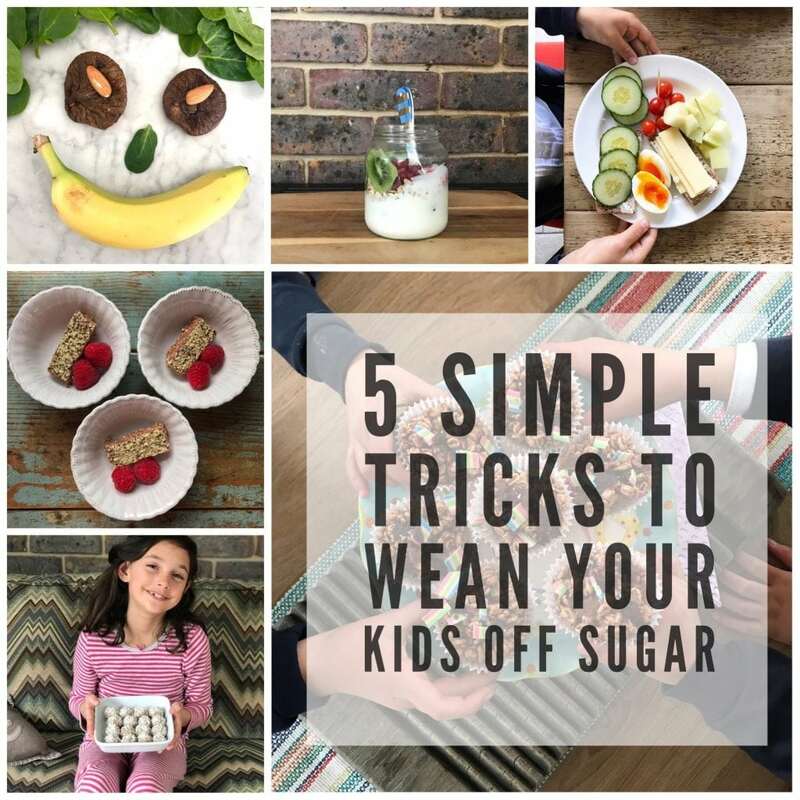 Most of us know that we need to be reducing the amount of sugar our children are eating, especially after a holiday, but how exactly do we go about doing that? How do we slot back into a routine that feels balanced and tastes good at the same time? It’s easy for people to say “just don’t allow your children to have as much” or “just don’t have sugary sweets in the house” but for me this brings the main focus onto the foods we want to be reducing. And my whole attitude towards food is the exact opposite. I feel we need to focus on the foods we want to be increasing! FOCUS and ADD lots of low sugar foods, snacks and meals. Having these alternatives on hand is key to reducing the amount of sugary treats we consume as a family! Stock up on fruit and veggies. Buy a large variety of fruits and vegetables and present them nicely, ready to be eaten. Regardless of how old your children are, most kids love a bowl of cut up fruit and vegetables. Buy what you know they love and will eat. Cherry tomatoes, cucumber with apples and cheese make great snack combinations. You can keep your fruit and veggies in an airtight container and offer it to your family throughout the day. You might be surprised at quite how much you will get through! Leave snack bowls on the kitchen counter for your children to help themselves. A bowl of nuts and seeds with some raisins is a great idea for example. Allowing your children to decide when they fancy a handful of nuts gives them a feeling of independence. In return, this will make them happier little eaters. Tell them what you are doing and where you are putting the snack-bowl and then remind them about it when they ask you for something sweet. A bowl of popcorn is a great alternative if you have little people in the house of nut allergies. Or steamed and shelled edamame beans are a real favourite of mine! Eat whole foods that aren’t processed (especially for puddings). Eating more foods in their natural state will not only ensure that you know what’s in them, but will eliminate natural sugars. Don’t cut out puddings altogether. Offer full fat yoghurt with fruit and honey and let the kids put their bowls together themselves. Again, give them some control over how much they want to eat. Frozen berries make great toppings for yoghurt bowls and are often cheaper than fresh berries. Be a step ahead to time. If you know for example your children love a sugary snack whilst they watch an evening film, offer them something BEFORE they ask for it. Offer some fruit, or cheese and apple, or celery and peanut butter, and encourage them to have this until you get their ‘real snack’ ready in 20 minutes time. They will often have some of it, if not all of it. 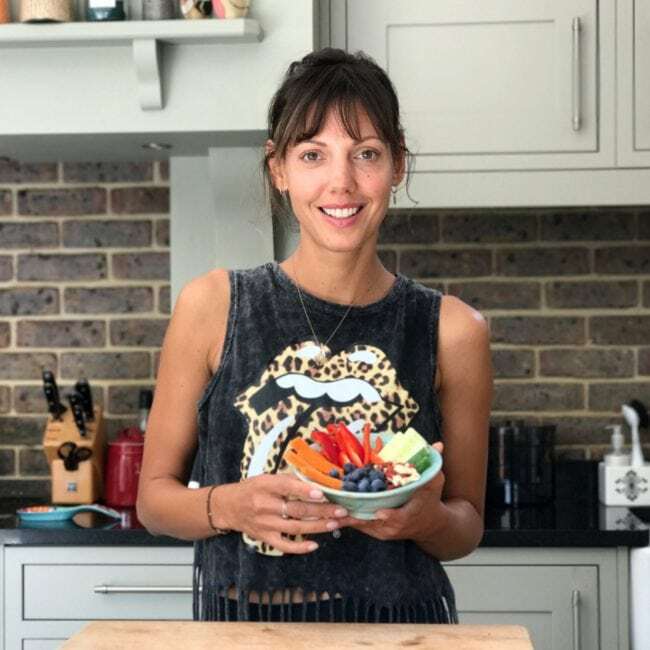 It’s a good way to give them an extra nutritious snack and the protein from cheese or peanut butter will help reduce the spike in blood sugars from the sweets the children eat afterwards. Cut back slowly and relax. My attempt at hiding chocolate eggs was surely not the right thing to do. Instead, it is much more constructive to work slowly towards your goal of less-sugar. This applies to your children and yourself. If your child is used to three chocolate biscuits, offer him or her 2 and something else to go with it. Like a juicy strawberry or a piece of pear. Remember: we want to ADD goodness to our children’s diets and not make them feel we are depriving them! Slowly, you will adjust to the taste of less sugar and week by week you will be getting closer to your goal.